If I could use just one word to describe this wedding, "love" would be the word. My heart! These two, you might remember from their engagement session, are just a match made in the sweetest heaven you can imagine. 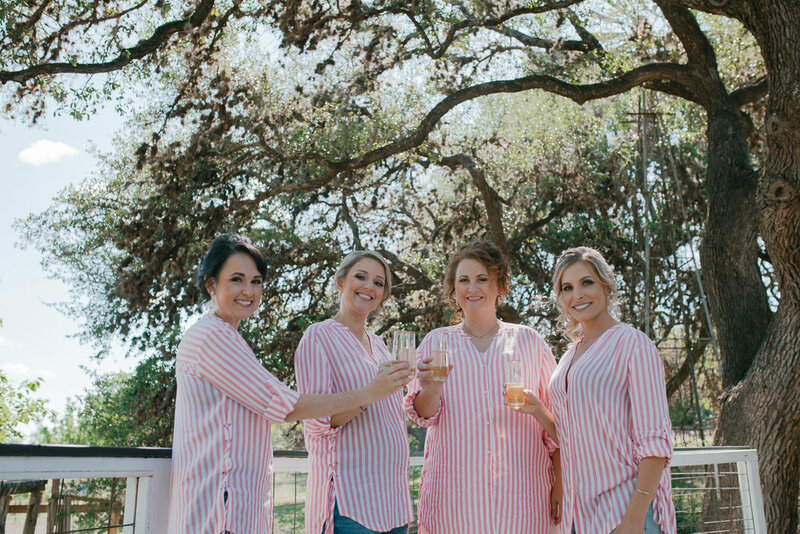 I had the pleasure of shooting their Hill Country wedding at the gorgeous Cherokee Rose. The day was perfect for an outdoor wedding, something every bride and their photographers hope for. Kelsi was glowing- and not just because she would be revealing the gender of the precious babe later at the reception. She was relaxed, laughing, not a sign of wedding day jitters. I'm sure it helped that the awesome wedding coordinator, Jennifer Craft, had everything running so smoothly. Her makeup, done beautifully by Vixen Onsite Hair & Makeup, complimented her natural beauty and the b-e-a-utiful dress she wore. I always have a great time photographing the guys involved in a wedding. 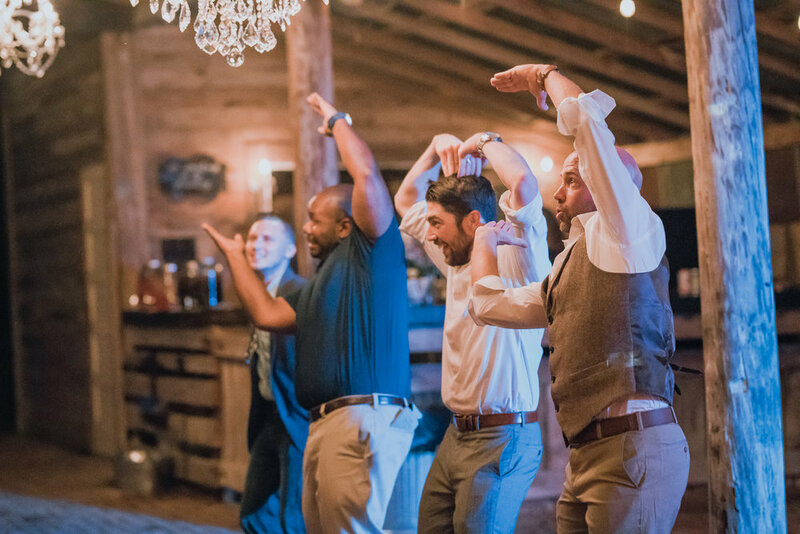 The groom and groomsmen are always looking for direction on "posing" for their photos, because unlike most of us ladies, they don't practice their photo faces nearly as often. So joking around with the guys tends to lighten everyone up. The guys standing with Derek that day needed no help to lighten up, they were all hilarious! They even humored me when I suggested that they all "pretend" to play some lawn games for a few shots. (Pretty sure they kept playing for a little while after I had moved on to other things.) And Derek, sweet as always, hugged me and offered to get me some water when he showed up. 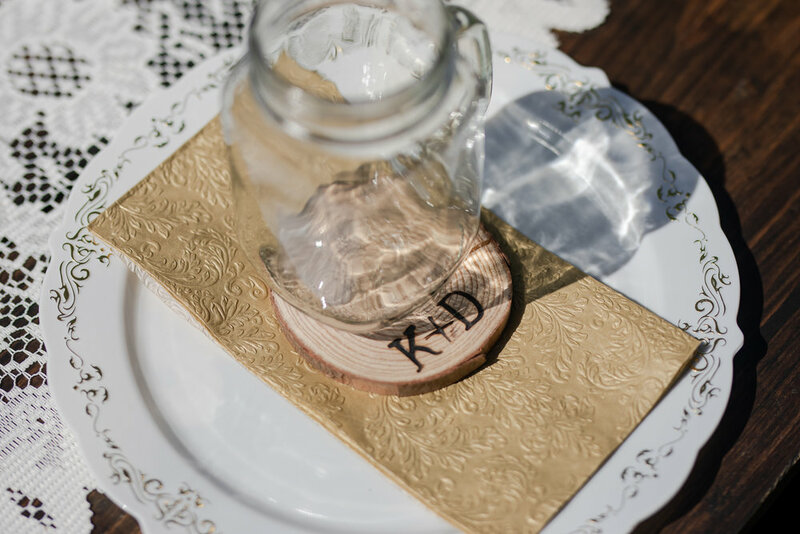 As one of Kelsi's bridesmaids mentioned in her toast, Derek is always trying to make sure everyone is taken care of. Kelsi's mom lovingly made so many of the amazing decorations and desserts for the wedding, and it all looked so perfect. 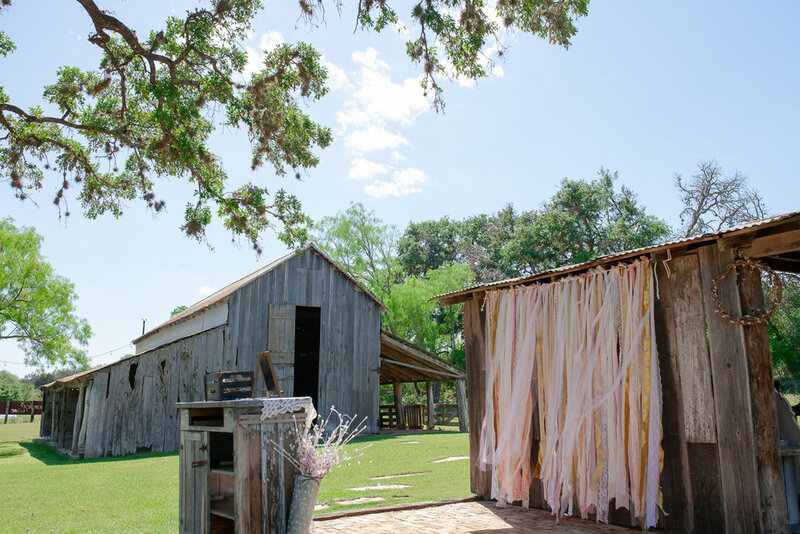 Between the H-E-B Blooms and the beautiful cake made by Betty Jane's Bakeshoppe their reception site looked amazing! 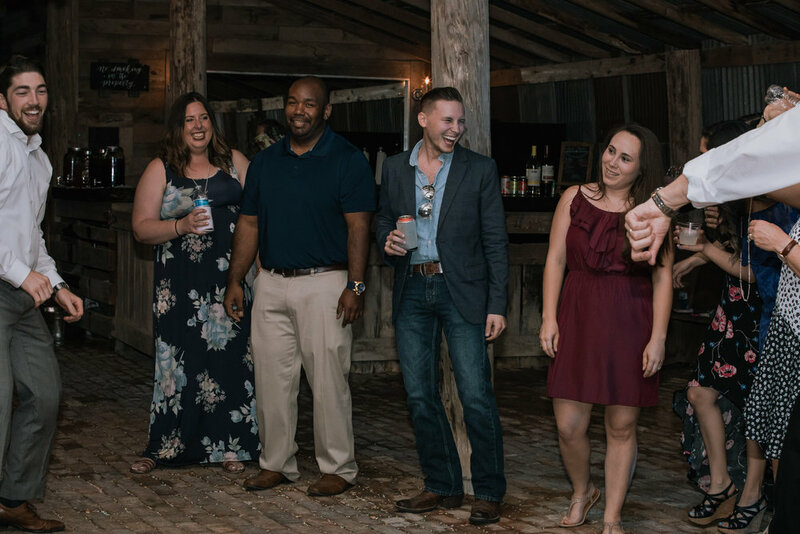 A few other of the great elements, such as the Tipsy Gypsy shuttle bus, the delicious BBQ catered by Smoke In The Hills, Bartenders 4 You, and the guy making everybody dance- DJ Vic, all worked together seamlessly. 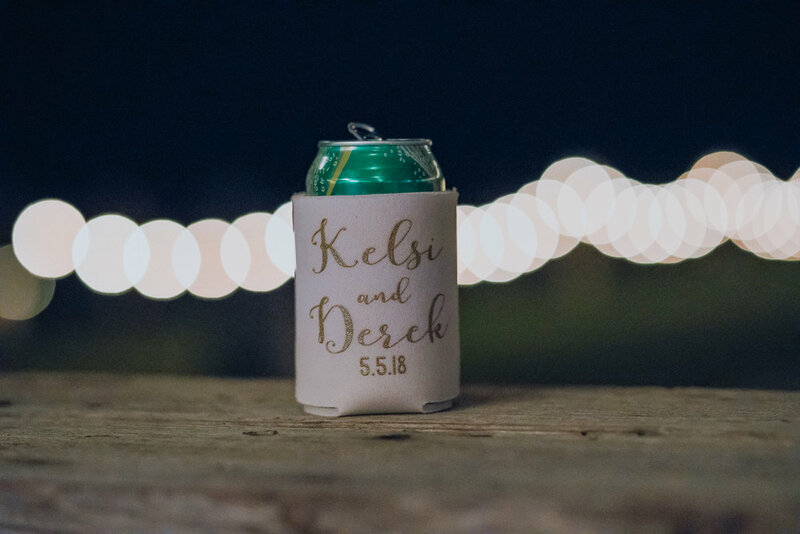 If Derek's face when Kelsi walked down the hill with her dad didn't get you all teary eyed, there's no way you could make it through their beautifully written vows to each other. The whole place was filled with the love of two people and their closest family and friends. Later, between the toasts and dancing, Derek and Kelsi cut into a special cupcake to reveal a perfectly pink center- there will be a baby girl Stutz coming soon!